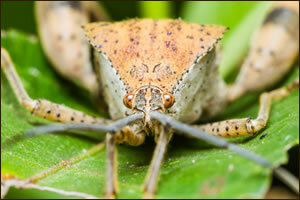 The Stink Bug is a pest that will devour fruits and vegetables. The largest threat in the foreseeable futures is the growth of the stink bug population and the destruction of fruit bearing trees and vegetable crops. Warm conditions could generate up to three generations of these pest insects in a year.